Gov. Paul LePage speaks in Rockland in March 2012. AUGUSTA, Maine — Lawmakers learned Tuesday that the state has the economic capacity to borrow roughly $24 million in general obligation bonds beginning with the 2014 fiscal year. That number doesn’t include what the state could borrow within the Highway Fund to help pay for repairs to aging roads and bridges, and state finance officials did not put a firm number on that. Still, the political capacity to borrow is an entirely different number and one that is compounded by Gov. Paul LePage’s strong feelings against bonding at this particular time. Bonds require a two-thirds vote of the House and Senate and then must be approved by Maine voters through a referendum. 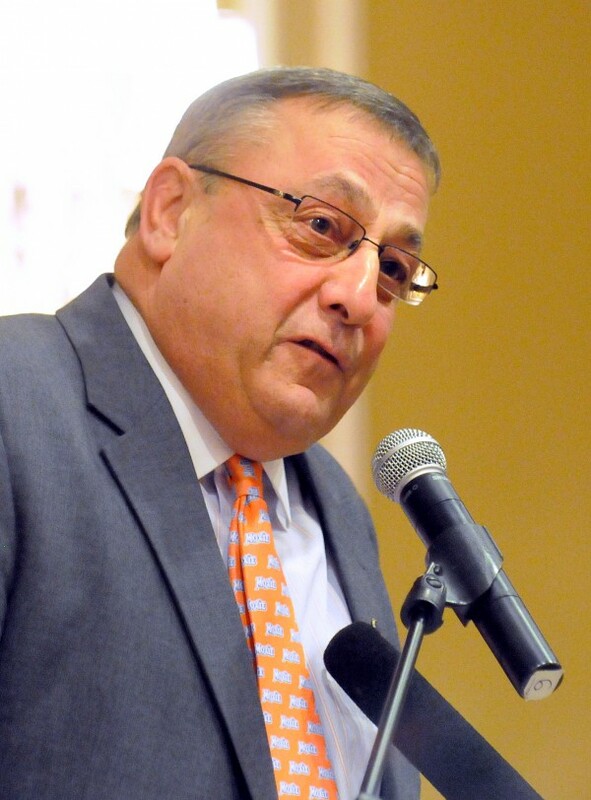 LePage has made his feelings on bonds clear in recent days. “Before I can accept any bond proposal we must address the shortfall in the 2013 budget,” he said in a statement on Tuesday. “Our welfare programs have become unaffordable and structural changes must be considered to reduce out of control spending. To achieve savings we must be willing to better align Maine with federal eligibility requirements. Representatives of a number of industries across Maine who testified Tuesday before the Appropriations Committee had a much different view of bonds. John O’Dea of the Associated General Contractors of Maine said the state has an opportunity to make some badly needed infrastructure investments at a time when bid prices are very low. “Our roads, bridges, water systems and higher education facilities have suffered from years of neglect. An investment by the state at this time will help fix these deteriorating assets and put people back to work,” he said. The biggest bond proposal is likely to target highway, bridge, airport and port improvements. Others have made the case for bonds to support higher education, sewer and water infrastructure projects and research and development. Representatives for the Land for Maine’s Future program also have said a bond is needed in order for that program to survive. So how does a state decide how much is needed? Grant Pennoyer, director of the state’s Office of Fiscal Program and Review, said Tuesday that the general rule of thumb is that states should borrow no more than 5 percent of general fund revenues. That number is not set in stone, though. Some, like O’Dea, have argued that now is a good time to borrow because rates are very low. Many believe it’s important to borrow from time to time to retain a good credit rating. Others, including the governor, believe the state’s fiscal house is not in order and adding debt compounds that problem. The Legislature’s Appropriations Committee will continue to meet this week and into next week on the dozen or so bond proposals before them. Any decisions on bonds would be made when the full Legislature reconvenes in mid-May. Correction: An earlier version of this story said the governor has limited authority on bonds. The governor does have the authority to veto a bond bill that has been approved by a two-third majority of the Legislature, according to a 1989 opinion by the Maine Supreme Judicial Court. The governor does not, however, have the power to use a line-item veto on a bond package.